Showing results for tags 'Steadicam for sale'. Hi, I'm selling my Steadicam Scout HD, in great condition, bought it in April and lightly used. -5 lb to 18 lb Payload -2-Stage Adjustable Iso-Elastic Arm -Dual-Axis Vernier Adjustable Stage -Camera Mount Chassis / Removable Sled -18.5" - 32" Telescoping Centerpost -7" 800 Nit HD Monitor -Knurled Gimbal Handle -Standard Vest -Gold-Mount -Docking Bracket & Dovetail Plate PRICE: $ 4,000 OBO With Optional: -V-Mount Adapter -3x Endura 7s Batteries with Dual Charger $ 5.000 OBO I would prefer a transaction in person, I'm based in Brookly. Steadicam Pilot V-Mount with 6" LCD, 2 - IDX E-75 batteries and VC-2. Ok, so some people buy sports cars in their mid-life crises. I bought a steadicam. As a documentary photographer who travels to remote places, this is just too heavy for me, and I don't work locally enough to justify it. I used it once other than to practice and try it out. It's a gorgeous thing, really. I bought it last year for 3,600 US $. I'll take the going rate for this item in used mint condition, or the best offer. Tiffen Steadicam Provid2 >>>> Complete Pro Steadicam Kit for cheap! Tiffen Steadicam Provid2 NOW ONLY £3999 NO VAT. Full Steadicam Rig for sale. This takes cameras that weight anything from approx. 5-20 lbs.... so that covers everything right through from DSLRs, RED, Alexa, Sony F5, Phantom Flex etc. The model is Tiffen Steadicam ProVid 2.... was over £20,000 new.... happy to let it go for sensible offers in the region of £3999. It comes with the original arm, sled, vest, flat monitor for indoor/outdoor use, low mode bracket, 2 x batteries and charger, additional weight plates for use with lighter cameras eg. the Canon 5D and it all packs into the flight-case . We've not had it out of the box for a while as we've been stuck working on low budget projects with no real need for a Steadicam. It's used but in great condition, solid investment - rent it out for £400 a day and get your money back after 10 days hire! I'm based in Leeds. Please call me on +44(0)7843952755 for more information. Please note the Red Rock Micro rig with rails and Follow Focus, Canon 5D and lens seen in the pictures are not part of this sale! Please get in touch with any questions - happy to help. 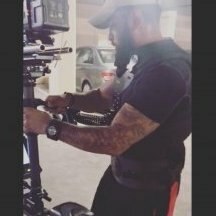 Full Steadicam Rig for sale made by Tiffen Steadicam. This takes cameras that weight anything from approx. 5-20 lbs.... so that covers everything right through from any RED, Alexa, Sony F5, Phantom Flex.... even a Canon 5D with some additional weights added.... this has flown them all! I'm leaving the UK in May to head off and travel for a year or two so regrettably I'm having to sell this to help fund my travels. It comes with the official arm, sled, vest, flat monitor, low mode bracket, 2 x batteries and charger, additional weight plates for use with lighter cameras eg. the Canon 5D. It all packs into the flight-case which has wheels and a handle to pull it along with. I've not had it out of the box for a while due to a career change but will give it all a good clean up ready to package, it's got wear and tear that you'd expect for a piece of kit that has been well used but it's a robust strong bit of kit, a little piece of the plastic casing has cracked on the arm but this is purely cosmetic this is just a dust case, there's a little knock on the back of the monitor too but as I mentioned this is just wear and tear. Overall it's in lovely condition please come and see it and make me a sensible offer. The model is ProVid2.... was over £20,000 new.... happy to let it go for sensible offers in the region of £5,000. I'm based in Leeds, England. Please call me on +44(0)7843952755 for more information. Will post worldwide. Please note the Red Rock Micro rig with rails and Follow Focus, Canon 5D and lens seen in the pictures are not part of this sale! Please get in touch with any questions - happy to help.